The border crossing from Ecuador into Colombia turned out to be one of the biggest tests of wit and South American stamina so far. Hardly surprising, considering that the first item on my agenda was to make an illegal crossing. 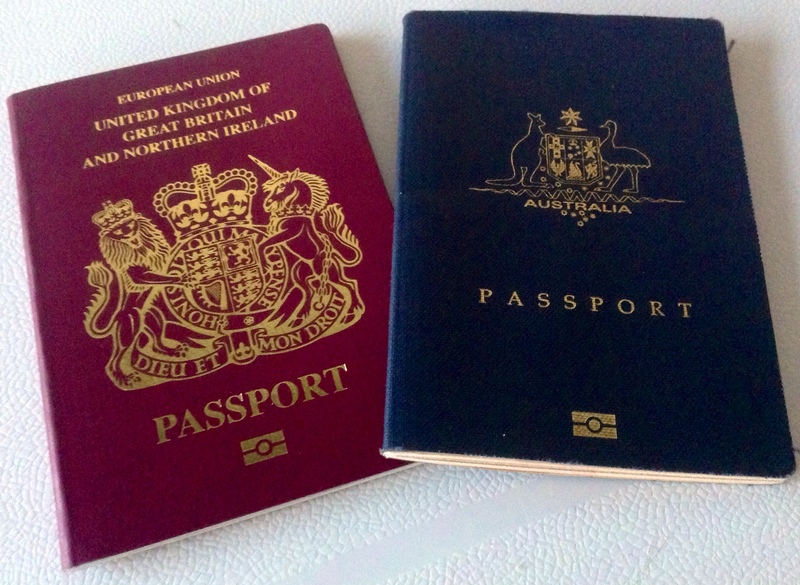 Having dual nationality can be a blessing and a… uh… blessing. Why the illegal crossing? Thanks to reciprocity fees and visa requirements elsewhere in South America for Australian citizens, I’d been travelling on my British passport for the past eight and a half months. Unfortunately the Poms, Yanks and even the friendly Canadians aren’t sitting pretty with the Venezuelan government right now. 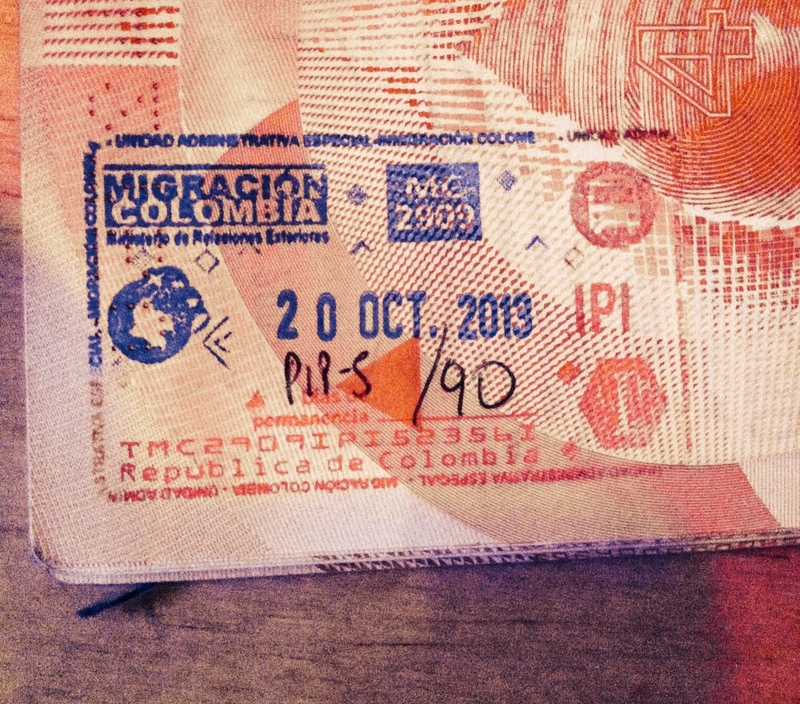 This meant that at some stage I had to sneak some stamps into my Aussie passport if I wanted to get into Venezuela. I figured that the Ecuador-Colombia border would be less hard work than the notoriously dangerous and difficult northern Colombia-Venezuela border. Suffice to say this was a good decision. I successfully bribed the border control guard with my winning smile and some light-hearted yank bashing. Sorry guys. I skipped back over to Bonnie and Steve, two backpackers I’d dragged along from Otavalo, and we set about buying some mysterious new currency. Naturally we were offered the gringo rate straight up, so plenty of cheek blowing and head shaking was required to score us the actual exchange rate. A quick taxi to the bus station on the Colombian side in Ipiales was needed so we could catch a bus to Popayan where we would be spending the night. Some more expert bartering saved us a couple of bucks each, we threw our big bags under the bus and climbed aboard. Thankfully, there was a Colombian man disguised as a stomach who convinced us to… stow our bags above us for our security? Weird right? Well, maybe. But he continued to chat amiably to all of us, while the man behind us agreed that the bags were probably better being out of our way. He even stood up during the bus ride when Bonnie reached for her travel pillow and handed it down to her. What a great guy! Yep, you got it. Hook, line and sinker. At the next stop Bonnie dug into her bag for her purse: “Um, Bonnie, was that hole in your bag before?” Realisation dawned slowly upon each of us as we thought back to the stomach and his friend. So helpful, so amiable, so good at slashing bags and stealing purses. We had been in Colombia for less than three hours and one of us had already donated a bit of cash to the cause. Slightly rattled, we had roughly another seven hours of bus journey stretching late into the night. As if sensing our low spirits, Colombia continued to put on a show as our bus crawled past the wreckage of an overturned lumber truck in a small village just a few minutes later. I really hope that everyone on board that truck was okay. It didn’t stop there. The evening drew to a close, the skies darkened and the heavens opened sending a torrent of rain through the bus roof and directly on to a sleeping Steve. You can imagine how thrilled the tattooed Kiwi monster was with this fresh development. Before long, we screeched to a halt and the engine was killed. “Okay everyone we are just going to wait here for some other passengers”, shouted the driver’s assistant in rambling Spanish. I decided to stretch my legs in the rain. Just seconds after climbing down onto the roadside I was surrounded by eager faced Colombians from our bus. It turned out that the evening’s entertainment had been the Great Gringo Bag-Slash and everyone wanted to know something about it. Was her passport stolen? How much money? What did the man look like? Is she single? I wandered over to the bus drivers to escape my mad fans and jokingly suggested we all get a beer while we wait. I backtracked pretty quickly when both of them seemed to seriously consider it. Either way, it wasn’t long before they became distracted by the scores of Colombian women bouncing past, oblivious to the rain and competing with one another to wear the least amount of clothes possible. Okay, I got a little bit distracted too. The hours ticked by, roughly two more, and suddenly we were on the road again. The best thing about South American buses is that they are inexplicably delayed for hours on end before suddenly the horn blasts and you’ve got literally thirty seconds to make it on board, or get left behind. Our fate wasn’t decided yet; ingeniously curved bridges seemed to accommodate our bus sideways as we drifted through rain soaked corners thanks to our overexcited driver. Presumably to distract us from looking out of the windows, a Bruce Willis movie came on, of course entirely in Spanish, and after 100 minutes of solid concentration to follow the plot, my efforts were rewarded with the television inexplicably switching off ten minutes before the movie ending. But don’t worry, we were compensated with some Latin American sleepy time music apparently designed for the hard of hearing. Thankfully, we were inching closer and closer to our destination, Popayan. When I say inching, I mean inching. More unexplained pauses, more rattling Latin American music, more water dripping through the roof. In these situations there’s absolutely nothing to be done except sit back and remember that you didn’t come to South America because everything would be easy. Finally, a mere eighteen and a half hours after leaving Otavalo, we cruised into Popayan at 3:30am and only spent 20 minutes in the back of a taxi searching for an open hostel. Some more about the ‘White City’ in the following post. Until then, if you still trust me after reading this, here is a link (and here is another one) with details on crossing from Ecuador into Colombia for those needing some more direction. but on the whole, you made it! and hopefully no one’s passport got stolen. Just cash man! Nah no stopping unfortunately. Thanks for the link, I’ll check it out. Safe travels! I have read about the crossing. Electronics being taken, jewelry being taken by the guards… Glad you finally got across.